Is The Illuminati Telegraphing Its Punches When Pat Buchanan Warns of A Gulf of Tonkin Type Incident Which Would Give President Bush The Excuse To Attack Iran? Title: Is The Illuminati "Telegraphing Its Punches" When Pat Buchanan Warns of A "Gulf Of Tonkin" Type Incident Which Would Give President Bush The Excuse To Attack Iran? All Prophesied Nations Now In Place! Subtitle: Patrick Buchanan is the ultimate Establishment Insider, educated in Jesuit high school and colleges and a member of the Catholic secret society, Knights of Malta. Buchanan was also an adviser to Republican Presidents Nixon, Ford, and Reagan. He would have the requisite inside knowledge of just such an attack. Before you read this article, read our original Archived Headline News Article, "Why The Illuminati Loves To Telegraph Its Punches"
Before we begin this startling news story, let us review some pertinent details about columnist Patrick Buchanan. You need to know his Illuminati credentials before you can appreciate his ability to get inside information, and his usefulness to the Illuminati as a mouthpiece in "telegraphing their punches" about an attack on Iran. This background information tells you that Buchanan was educated in a Jesuit high school and Jesuit Georgetown University. Not everyone who graduates from Jesuit colleges goes on to be rich and famous, but those that do, are able to do it because they are one of the "chosen ones" to serve the needs of the Illuminati. Remember, the Illuminati successfully took over control of the Vatican when Pope Paul VI ascended to the "Chair of Peter" on June 21, 1963. To demonstrate to the world that he was Illuminati and not a Traditional Pope, Paul VI immediately displayed the Satanic "Twisted Crucifix" rather than a Traditional Crucifix (Read NEWS1623 for full details). From June 21, 1963, the Illuminati and the Jesuits were working hand-in-glove, with the Illuminati always in control. Of course, this order of power follows Bible prophecy exactly, as Revelation 13 foretells that Two Beasts will arise in the world. The First Beast (Rev 13:1-10) is the political figure of Antichrist. The Second Beast (Rev 13:11-18) is the religious False Prophet who deceives the people of the world into thinking he is a Christian ("Had two horns like a lamb", Rev 13:11). Revelation 13:12-14 then foretells that the Second Beast works in submission to the First Beast. Thus, we would expect that the primarily political Illuminati would conquer the religious institution of the Roman Catholic Church. When I was sneaked into the House of Theosophy seminar meeting in Boston, August, 1991, I learned that the Illuminati had just decided that the Roman Catholic Pope would become the top leader of the New World Order Religion, whomever he was at the time (Read NEWS1052). Now, let us go back to Pat Buchanan, to see how he is serving the Illuminati very well. Furthermore, Pat Buchanan is a member of the Knights of Malta (National Catholic Reporter, October 14, 1983, Vol. 19, No. 45). Therefore, through the Knights of Malta, Buchanan is powerfully connected to one of the most powerful Satanic organizations which ever existed, the Knights Templar. Antiquities Research Films speaks plainly and boldly about the Knights Templar in its first video in the "Secret Mysteries of America's Beginnings", entitled, "The New Atlantis". This video won three Film Industry awards, including the Los Angeles Film Festival for "Best Historical Award". The L.A. judges loved the way in which the history was handled in this video and the way in which history was documented. If you have not yet seen this "History Channel" quality video, you need to do so, as it covers a wide variety of subjects relating to Freemasonry, Rosicrucianism, Knights Templar, and the founding of the American government. Now, you have to admit, that Pat Buchanan is a very powerfully connected man! He would be in position to be an Illuminati spokesman if the Global Leadership wanted to "telegraph its punches" about an impending attack on Iran. Pat Buchanan can be considered "Mr. Republican", and one of President Bush's closest confidants. If any man wanted to deliver an indirect message to the world from President Bush that an attack on Iran is forthcoming, Pat Buchanan would be one of the most logical choices. With this introduction now behind us, let us review this surprising news story. "Is the United States provoking war with Iran, to begin while the Congress is conveniently on its August recess? One recalls that it was in August 1964, after the Republicans nominated Barry Goldwater, that the Tonkin Gulf incident occurred." Since a great many of our readers were either very young or not yet alive in 1964, they are not aware of what the Gulf of Tonkin "attack" was all about. Buchanan gives a brief Establishment analysis in this next segment, after which we shall examine the case more closely. "Twice it was said, on Aug. 2 and Aug. 4, North Vietnamese patrol boats had attacked the U.S. destroyers Maddox and Turner Joy in international waters. The U.S. Senate responded by voting 88 to 2 to authorize President Johnson to assist any Southeast Asian nation whose government was threatened by communist aggression. The bombing of the North began, followed by the arrival of U.S. Marines. America’s war was on." The Gulf of Tonkin was much more than Buchanan let on, above, for it was a "false flag operation", reported by the Pentagon and used as the springboard by which the American Congress was railroaded into granting broad authorization to President Lyndon Johnson to commit American forces to South Vietnam. Less than 18 months later, America had 550,000 troops in South Vietnam. That bloody, worthless war was underway! President Lyndon Johnson is just another example of a president who could not initially commit American forces to action in Vietnam because the sentiment of the people was clearly set against such action. The Gulf of Tonkin staged incident provided the momentum which allowed Johnson to commit American troops to the Vietnam quagmire; current historians now know the Gulf of Tonkin was a lie, and was staged simply to forge a consensus in Congress and amongst the people for war. Nine years later, 58,209 American soldiers were killed in action, while approximately 5.1 million people died in both North and South Vietnnam. Don't you think the "fruits" of this staged incident were exceedingly high? Well, if President Bush does order an attack on Iran, and that attack proves to be the trigger of a Middle East all-out war, which then mushrooms into a global war, these numbers of dead civilians and soldiers will pale in comparison. The stakes here are exceedingly high. If you have trouble believing that the American government and/or military could lie so blatantly in order to start a bloody war, you need to read our expose' of "Operation Northwoods", created by the Joint Chiefs of Staff in 1962. This Pentagon operation envisioned a shocking plan to deliberately stage terror attacks, bomb American ships, sabotage other ships, have "friendly" Cubans invade our Guantanamo Bay base, fake a shoot-down of a civilian air liner, sinking a boatload of Cuban refugees, and a fake shoot-down of one of our fighter planes -- all to be falsely blamed on Cuba so as to justify an American invasion and a "regime change" to overthrow Fidel Castro. How many thousands of Americans and Cubans would have died had President Kennedy authorized this plan? "Operation Northwoods" also disproves the commonly held notion that American leaders have the best interests of their people at heart. Remember, part of the plan of "Operation Northwoods" was to stage funerals of those servicemen who had been killed by other Americans! Pentagon brass simply looks at American soldiers as "throw-away" men, easily replaced. Not only did I see this sad fact while in stationed in US Army Intelligence, but other former soldiers, both enlisted and officer, have stated the same opinion. With this as background, let us now go back to what Pat Buchanan has to say about the possibility of another staged "Gulf of Tonkin" incident this August while Congress is not in session, an incident which could present the President the pretext to attack Iran. In fact, Buchanan states that, not only has this type of incident already occurred, but Congress surreptitiously gave its approval in a 97-0 vote! "As Congress prepares for its August recess, the probability of U.S. air strikes on Iran rises with each week. A third carrier, the USS Enterprise, and its battle group is joining the Nimitz and Stennis in the largest concentration of U.S. naval power ever off the coast of Iran." "And Tonkin Gulf II may have already occurred." “We are giving the Persians, and especially the rulers of Iran, a two-month period to end all kinds of support for the Iraqi Shiite government and to stop direct and indirect intervention – otherwise a severe war is waiting for you', al-Baghdadi said in a 50-minute videotape." "Al-Baghdadi also warned Arab Sunnis in the region who do business with Shiites in Iran that they were inviting assassination." At this point, we need to intercede with a breaking news story. In Daily News Updates today (July 19, 2007), we posted an interesting story on this Al-qaeda leader, Al-Baghdadi. "BAGHDAD: For more than a year, the leader of one the most notorious insurgent groups in Iraq was said to be a mysterious Iraqi named Abdullah Rashid al-Baghdadi. As the titular head of the Islamic State in Iraq, an organization publicly backed by Al Qaeda, Baghdadi issued a steady stream of incendiary pronouncements ... On Wednesday, a senior American military spokesman provided a new explanation for Baghdadi's ability to escape attack: He never existed. Brigadier General Kevin Bergner, the chief American military spokesman, said the elusive Baghdadi was actually a fictional character whose audio-taped declarations were provided by an elderly actor named Abu Adullah al-Naima." General Bergner blamed the creation of this fictional Al-Qaeda leader on the Al-Qaeda of Mesopotamia, but I only half believe him. I remember that American intelligence has created other "terrorist" leaders in the past. Do you remember? NEWS1782, "DID US INTELLIGENCE 'RESURRECT' A DEAD TERRORIST SO THEY COULD CLAIM A MAJOR VICTORY IN THE TERROR WAR JUST BEFORE IRAQ WAR IS LAUNCHED?" NEWS2127, "PENTAGON CAUGHT RED-HANDED!! FABRICATING 'INSURGENT' ENEMY AND PLANTING FALSE NEWS STORIES!" In this second Headline News article, we report that the Pentagon created the identity of the key Iraqi "insurgent" Al Zarqawi. Over a period of time, this phantom "Al Zarqawi" was reported to be a very powerful terrorist figure responsible for considerable death and mayhem -- but he never, ever existed except in the propaganda machine of the Pentagon! These stories should tell us that all Americans must be very careful in simply accepting the stories coming from the White House, the Pentagon and all government agencies. Too many citizens blindly accept anything and everything any government or military leader has to say, and that is a terrible mistake to make. If the Pentagon stages another "Gulf of Tonkin" incident by which to justify attacking Iran, discerning citizens must take this incident with a huge grain of salt. Now, let us return to Pat Buchanan. "Has Bush secretly authorized covert attacks inside Iran? Are U.S. and Israeli agents in Kurdistan behind the attacks across the border to provoke Iran? On July 11, Iranian troops clashed with Kurd rebels inside Iran, and the Iranians fired artillery back into Iraq. Why is Congress going on vacation? Why are a Democratic-controlled House and Senate not asking these questions in public hearings? Why is Congress letting Bush and Vice President Cheney decide whether we launch a third war in the Middle East?" "Or is Congress in on it?" Did you catch this last statement? "... is Congress in on it?" 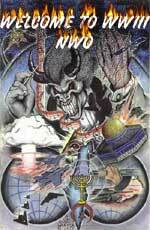 The most important realization for anyone to achieve is that Democrats and Republicans are united on the ultimate goal of overthrowing the Old World Order so the New Order may be established. This is the reason Congress quietly gave President Bush a back-door authorization to attack Iran. We believe that this warning by Pat Buchanan must be taken seriously. The Illuminati Plan seemingly does include an attack on Iran by America. But, the Bible clearly states that Iran (Ancient Persia) is going to be marching with the Russian Army in attacking Israel at the End of the Age in fulfillment of Ezekiel 38-39. It will be most interesting to see how this attack plays out. 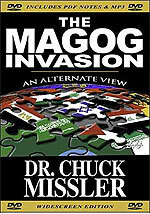 At the very least, the total buildup of war in the Middle East, from Iran to Turkey to Syria and to Israel, most definitely has the potential to trigger the planned World War III which shall produce Antichrist.